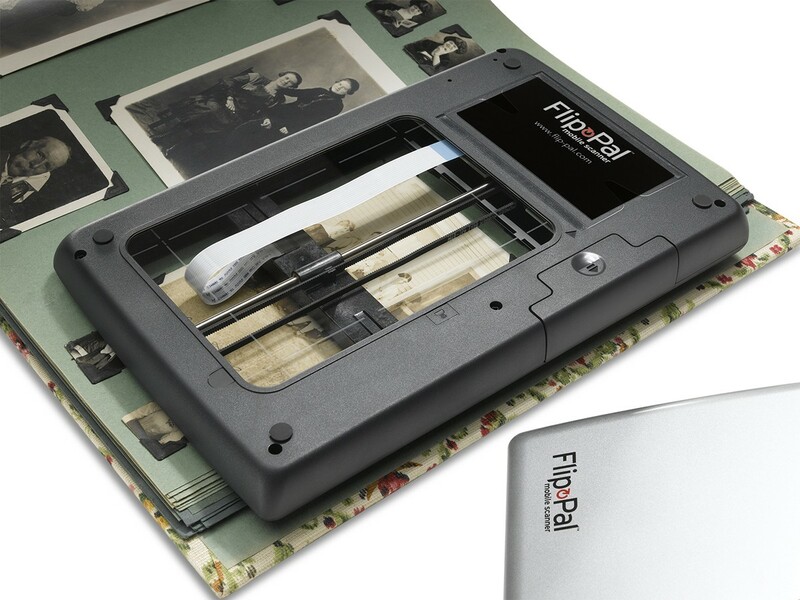 The Flip-Pal is a lightweight battery operated mobile scanner that allows you to easily scan and preserve photos, memories, artwork, school work, newspapers, and even small objects like coins. 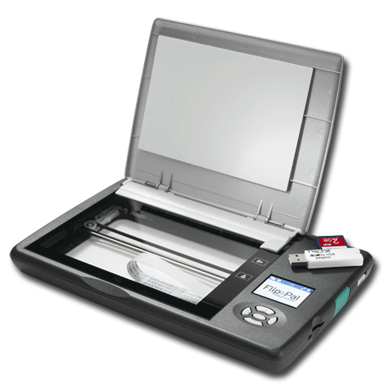 Flip-and-scan technology: remove the lid, flip the scanner over and place it on the original. Much easier than a standard scanner! Battery operated, cordless and small enough to fit in your bag so it can go anywhere with you. 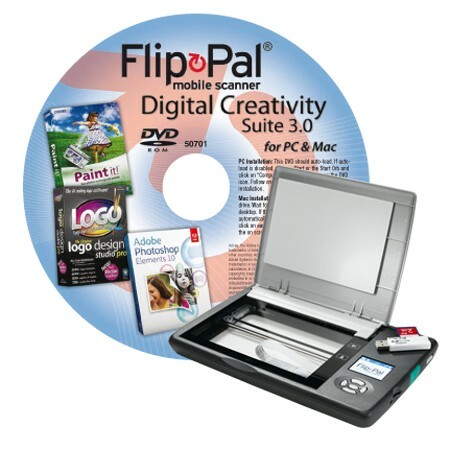 The Flip-Pal scans straight to a standard SD memory card (just like the one on your digital camera), which can then be inserted straight into your computer or card reader. The removable lid means you can photos while they are still in the album, scan kids artwork on the classroom wall, or photos behind a glass frame. 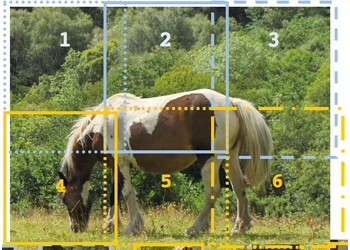 With the easy software included, you can scan larger items and 'stitch' the images together into one large scan. Many people are using smartphone cameras to snap precious family photos, but are disappointed with the results, with warped images, poor image quality or light reflections. Because the Flip-Pal is so lightweight, it's easy to carry to a family reunion or grandparent's house to preserve memories. 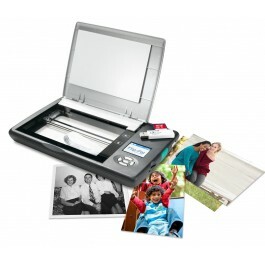 And with the removable lid you can scan straight from the album or photo grame without any light reflection or distortion. Maximum scan area: 100mm x 150mm (4 x 6 inch) single scan. Larger originals are accommodated by stitching individual scans. Scan Resolutions: 300 x 300 dpi, 600 x 600 dpi. LCD: 4.3 cm (1.7 inch) color LCD. Displays a thumbnail of the scan in progress, and thumbnails of scanned images stored on the SD card. Number of scans: Typically 150 scans from one set of high quality alkaline batteries, 450 scans from photo lithium batteries, or 500 scans from high quality NiMH rechargeable batteries. Supported SD cards: Standard SD and SDHC cards (tested up to 32 GB) are supported. DCF (Digital Camera File System) compatible. File size: The typical file size for a 300 dpi scan is 1.2 MB, and size for a 600 dpi scan is 1.6 MB. The included 4GB SD card will store about 2,200 scans at 300 dpi or 1600 scans at 600 dpi. Windows - Toolbox, EasyStitch, Color Restoration, Facebook and Picassa upload. Mac - EasyStitch, Facebook upload. Accessories: The Flip-Pal mobile scanner comes with one 4 GB SD card (software pre-installed, no CD required), four AA alkaline batteries and one SD to USB card adapter. Additional SD cards and adapters can be purchased locally. Power: 4 AA alkaline batteries (included). 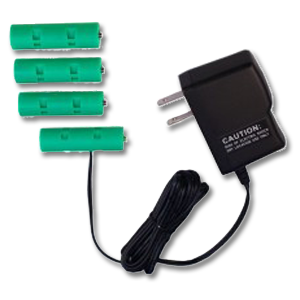 Compatible with: photo lithium and NiMH rechargeable. Interface connection: An SD to USB adapter is provided for devices without an SD card slot. PagePlus Essentials Deluxe - tncludes 550 templates, 100 themed layouts, 140 extra fonts, How-To Guides and video tutorials. Easily add text, images, tables, calendars, logos, and more. PhotoPlus Essentials - a fast and easy photo editor. It makes printing and uploading photos simple. Ideal for people who want to organize their image collection and explore stunning effects. WebPlus Essentials Deluxe - makes creating, and executing a sophisticated website easy—even for novices. With unique templates, drag-and-drop simplicity, and online gadgets, it’s the ideal solution for your first website or hundredth. Digital Scrapbook Artist 2 - allows you to easily create albums, scrapbooks, cards, invitations, postcards, and more. It’s time to dig out your photos and make something beautiful with them that you can share with others. SlideShow Expressions - create fun photo slide shows and share with friends and family. Complete with slide transitions, picture captions, and pan/zoom effects—timed to your favorite music! Play on DVD players, iPod, Sony PSP, and the Web. Automated painting process create the perfect hand-painted photo art. Add brushstrokes and fun effects to personalize your scrapbook, family album, greeting card or any other masterpiece. Available for Windows & Mac. 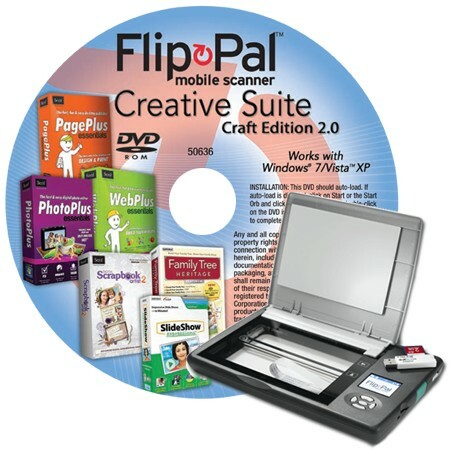 Start your project by scanning your favorite memories with the Flip-Pal mobile scanner, and then unleash your creativity and get organized with the Digital Creativity Suite 4.0 DVD. This carefully selected software package sold separately would typically have a retail value of over $250. For Windows 8 and 7 computers. Photoshop Elements 12 also for Mac OSX. Adobe Photoshop Elements 12 makes it easy to turn everyday snapshots into sensational photos. Powerful yet simple options take the work out of editing, and you can share on social networks, discs, and more. Filecenter Standard helps home and professional users scan, organize, edit, archive, and find computer files. Easily. Discover the paperless office solution that’s got everyone talking. FileCenter: simple, but powerful. Family Tree Heritage Platinum: Every family has unique stories and precious memories. 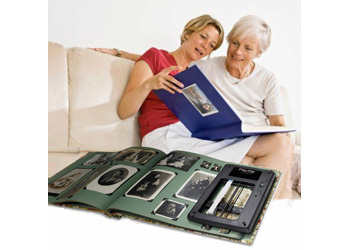 Now you can discover the rich and exciting tales from your history and preserve your family heritage as a record for future generations. Whether you are new to genealogy or an experienced researcher, Family Tree Heritage makes it easy to preserve your family heritage and share your research with friends and family.Genealogy software for preserving and sharing your family heritage. The Flip-Pal Deluxe Carry Case with Pocket protects your Flip-Pal mobile scanner from wear and tear and keeps you organized while you are on the move. You can use the convenient 14cm (5.5 inch) deep pocket to store your batteries, battery charger, USB adapter and spare SD cards. 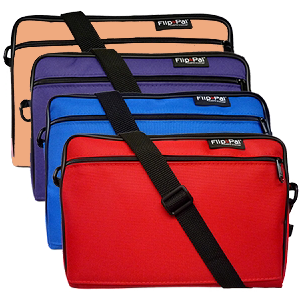 The carry case comes in Red, Blue, Purple or Orange, has foam protective cushioning, has a removable and adjustable shoulder strap and is made of a durable lamination of polyester to a PVC backing with heavy-duty nylon zippers. 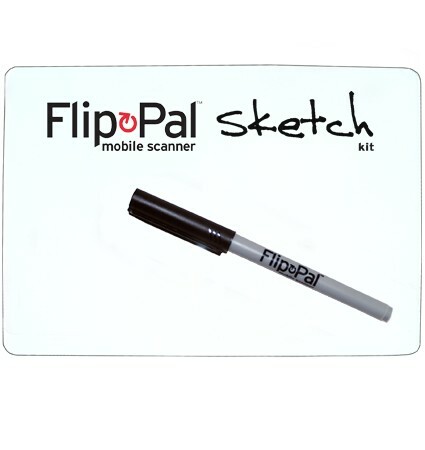 Clear acrylic sketch sheet with three erasable markers (two black, one red) designed for work with your Flip-Pal mobile scanner. Personalise your scan with notes for your creative projects like scrapbooking, genealogy, art sketching, organizing your photos by adding date, names, place and more. 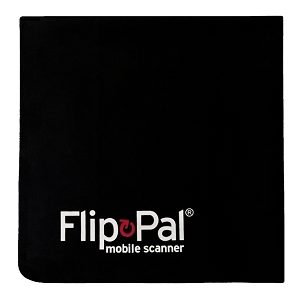 Clean fingerprints and smudges from your Flip-Pal with this generous 25cm x 25cm (10″ x 10″) microfiber cleaning cloth. A plush cleaning cloth, with rounded corners and a screened 2-color logo, easily slides into the pocket of your Deluxe Carry Case – keeping it handy when you are on the move. StoryScans talking images are easy to create. 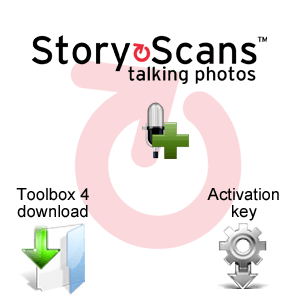 Simply Select the scan, Record the voice, and Save to create the StoryScans file. For your Windows or OS-X computer, use the Flip-Pal Toolbox 4 software. For your iOS device (iOS 7.0 or later, iPhone, iPad, and iPod touch), use the Flip-Pal ScanTools app from iTunes. ScanTools for Android devices will be available from Google Play soon. StoryScans talking images are easy to share. The small file contains both sight and sound and won’t get separated when sending via email, posting on social media, or uploading to the cloud. 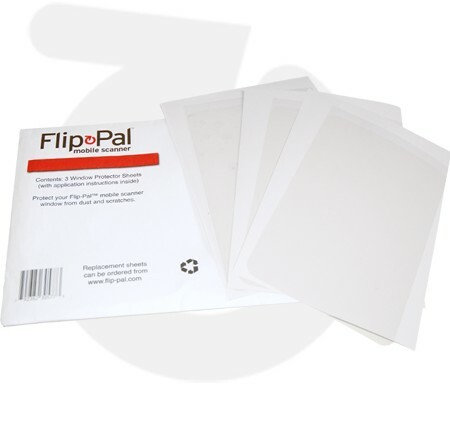 The Flip-Pal Toolbox 4 software includes automated uploads to your account on Facebook, Picassa, Dropbox, or Evernote. On your mobile devices, use your favorite apps to share. StoryScans files are supported universally and do not require an additional player. 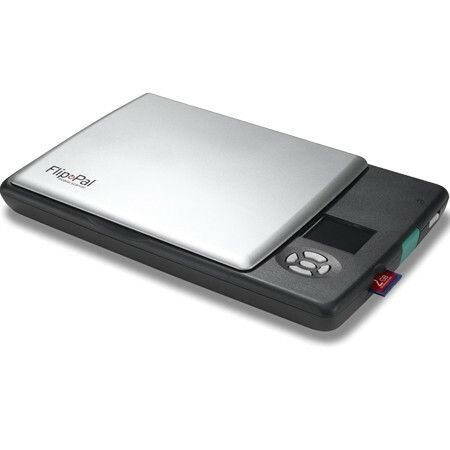 Use the Flip-Pal mobile scanner with Wi-Fi enabled laptops and mobile devices like smartphones, pads, tablets, and Kindle Fire. Simply add the Flip-Pal Wireless Upgrade. Replace the SD card that is included with the Flip-Pal mobile scanner with the upgrade’s Mobi SDHC card and you will be wirelessly transferring scans to your favorite device in 2 minutes or less! Mobi stores the scans like a regular SD card, but unlike the others it includes built-in Wi-Fi that connects your scanner to mobile devices and Windows or OS-X computers. No Internet required! Just press the scan button and watch your scans appear on your favorite device, with far superior image quality than can be captured by the mobile device’s built-in camera. You can review your scans on the device’s larger screen as well as the small LCD screen on the scanner. Don’t like what you see? You can immediately rescan your originals on the spot. Use your apps to send the scans via email or directly to Internet sites to connect, share, save and enjoy. The Wireless Upgrade contains a Mobi 4GB SDHC card, a Quick Start Guide, and a plastic membership card with your Mobi’s activation code. It is easy to set up and easy to use. The included Quick Start Card will guide you step-by-step. 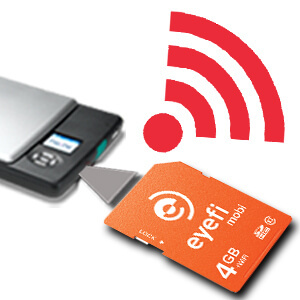 The EyeFi Mobi app is available on Apple iTunes or Google Play. Use the free Scantools app to rotate, crop, and create StoryScans™ talking photos. Use the included Toolbox software to stitch, crop, rotate, correct color, upload to the cloud, and create StoryScans™ talking photos. The Flip-Pal Toolbox 4 software is pre-installed on the Mobi card with the StoryScans feature activated. You do not need to order a StoryScans Activation Key separately. 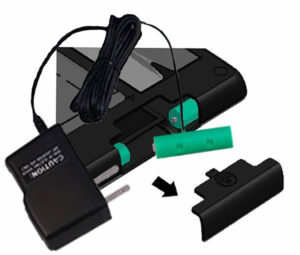 The Flip-Pal AC Power Adapter installs inside the battery compartment, replacing the four AA batteries, allowing you to power your scanner from wall AC power. Includes 1 active cell (with a wire), 3 inactive cells, and a replacement battery compartment cover with a slot for the wire. Place two of the inactive cells (without a wire) into the left section of the battery compartment with the positive terminal first. Place the third inactive cell against the right contact. Place the active cell in the space in between. Finally, replace the original battery compartment cover with the one supplied, feeding the thin wire through the slot. Plug into the outlet and turn on the Flip-Pal scanner. Universal 100-240VAC input. 6v DC output. NOTE: Comes with a US plug with 2 flat blades. Use your own adapter for NZ/Aus style of AC outlets. Note: It does not charge the inactive cells. When the adapter is removed from the AC power, the scanner will not power on. 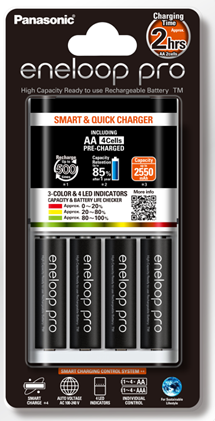 Compact 3 hour quick battery charger designed for Eneloop range of AA and AAA LI-MH batteries. 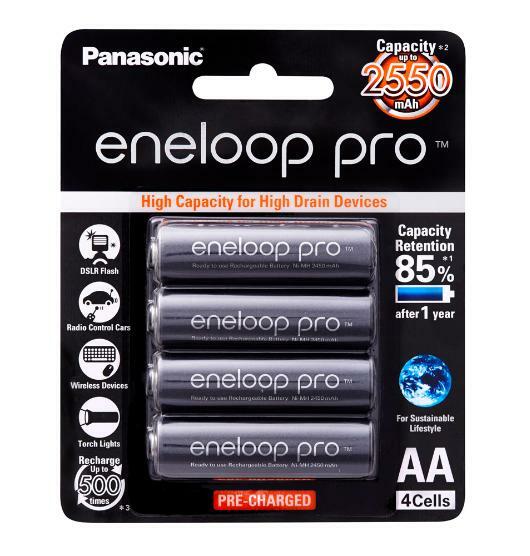 Includes 4 x AA Eneloop Pro batteries in package. Charge will indicate battery incompatibility and prevent accidental misuse. Smart charge function will automatically stop charging before peak voltage is reached, prolonging battery life. Long-lasting power: Eneloop Pro batteries retain 85% of their original charge after one year in storage. Can be recharged when fully or partially drained - no 'memory' effect.